Hello guys, cheers to another review here again on my blog. I didn’t notice that time flies so fast, it was 6 days since my last post. So let’s talk about hair for today. Last month, I’ve tried to get rid of my curly roots. I swear I loved my curly hair back then, but it’s too much to handle. You really need to get maintenance for it. I had my permed hair last year, if I remember it was at the end of the month of July. And throughout the year, I’ve had my hair trimmed from time to time. And my boyfriend told me, that he doesn’t like it anymore. And I don’t like my hair to get rebonded because my hair is so THIN! And I already tried it before. So before my son’s birthday celebration last August 3, a week before the three of us got a new haircut. Here’s my photo with a new hairstyle right after I got the haircut. I told the guy that I want to get rid of my curly roots, so he asked me that he will cut this portion. And I just say go ahead. But it didn’t removed all, since he said that my hair will get shorter if he tried it. So he made my hairstyle to V-Cut. For me I don’t care what would it turn out as long as I have the BANGS! Haha! Since he blowdry my hair, of course my hair is now DRY! And I really hated it! But not until I remembered that I have these products, upon searching on my things. (I have a lot of products to try!) 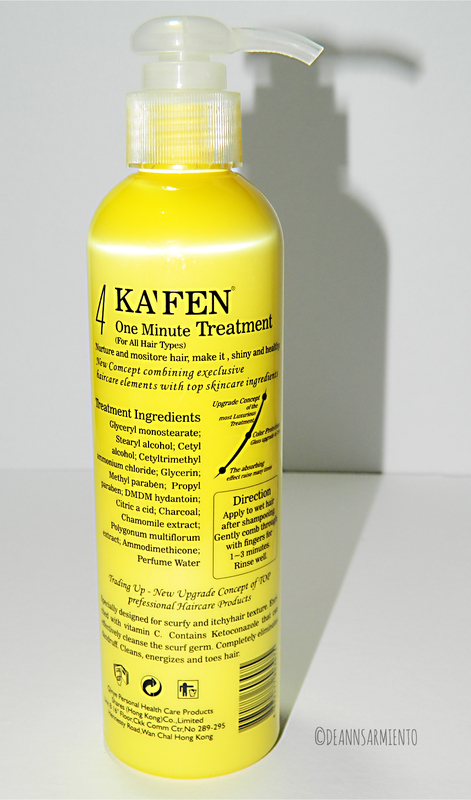 I got this Ka’Fen Profession Hair Series from @kafenmnl. I got these products last March I think? I got this Conditioner + a Keratin treatment from them. Which I love so much! For now let’s talk about the conditioner first. If you will take a look at the back of this product, you can see all the contents of it, Ingredients, Directions, Bar code, Tips, and from where it was. Since this is a conditioner, the consistency is very thick! And it smells like you are on a Salon. Not the usual local conditioner we have here. But it doesn’t bother me at all. Product claims that it’s a one minute treatment. Since I have a heavy dandruff now, I don’t put the conditioner on my scalp directly, I only apply it on my hair. and I will just wait for a minute or so, and I will rinse it off. After drying my hair, it feels sooooo soft and smooth (ok like the usual conditioner does) but this one is different! It really made my hair soft and smooth all the time and it helps ease the dryness of my hair after my haircut. I will say that this is my holy grail for my hair now! And this one is the Keratin Protek Treatment. 100ml. 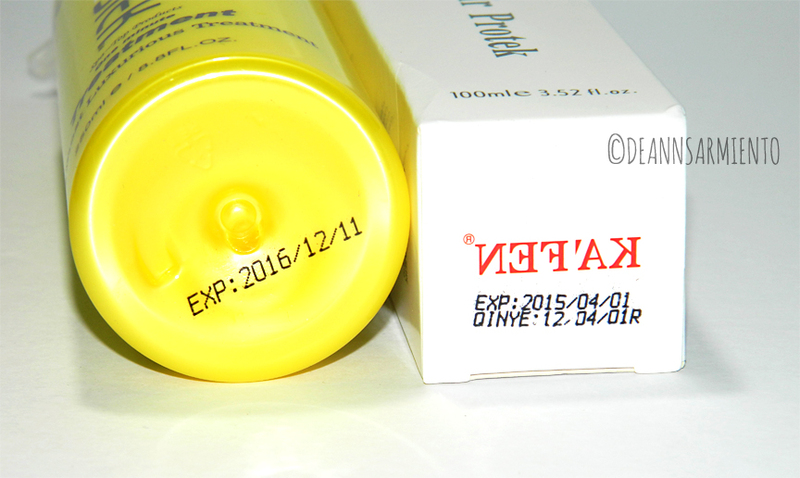 At the back of this product, same with the conditioner, you will see all the contents of it. I only had spray this on my hair since I don’t iron my hair. I’m just so lazy lol. And this is how it looks like! 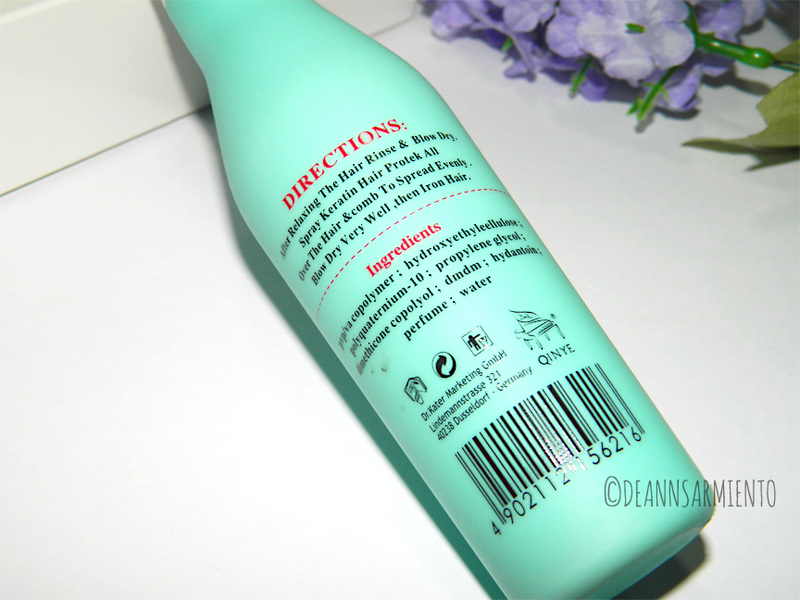 After drying your hair, spray this all over your hair and voila! Your hair is more smoother now! 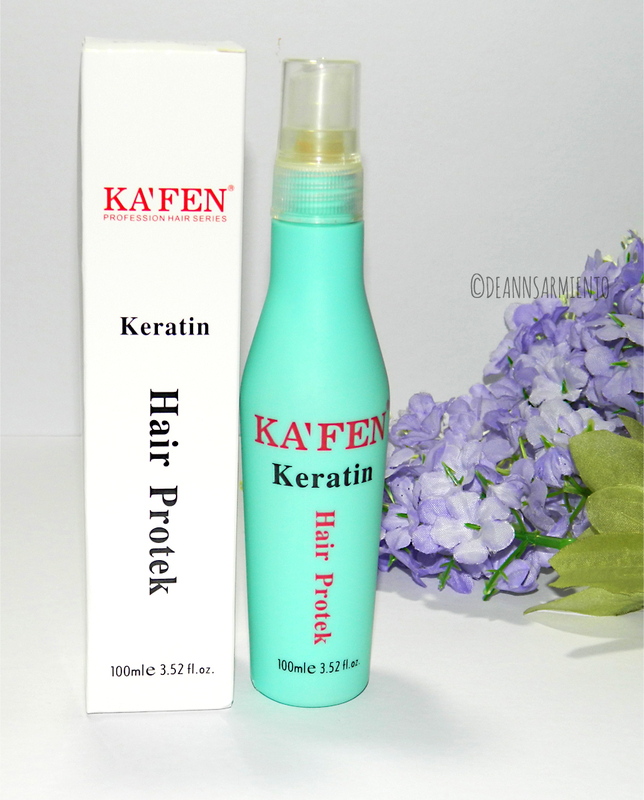 This Ka’fen Keratin Protek lets protect your hair from heat. And it smells amazing! Smells like milk! And I love it so much! What I like more about this product is that, it’s very easy to use, the pump and the bottle of conditioner is really sturdy! Anyways when you get to buy this one, it’s sealed btw. 🙂 Same with the keratin treatment. What I had in mind now is, I feel that these products are used on salons. I believe these are quite expensive. But I tell you, this product does it job! I want to try the shampoo as well! I believe they have the same price as the conditioner. I will post photos on my IG, so you can see the amazing results! What’s best is that, it’s available LOCALLY!! You can check KafenMNL on Instagram and Facebook. Disclosure: The product was sent for free. My opinion and review is solely based from my own experience and 100% unbiased. Maybe that’s the reason why salon services are quite expensive pero based sa narinig ko effective po talaga yung keratin treatment.